We know our bacon ! Founded in 1983 and still going strong today, we are leading supplier and provide a large range of bacon, gammon, cooked meats and cheeses in any quantity. Our long running traditional methods of preparation ensure that you are getting only the choicest meats and cheeses direct delivered to your door. Our speciality is our famous home dry cured bacon, cured in the old traditional manner by hand rubbing salt into the choice pork and maturing long enough to ensure perfect conditioned bacon. We offer a same business day delivery service and guarantee that your product arrives in perfect condition and on time from our specially designed refrigerated fleet of delivery vehicles. "We love dealing with Craven Bacon Supplies, they have never let us down"
As well as bacon, also try us for; Horse Shoe Gammons, Primal Gammons, Rindless Primal Gammon, Netted Primal Gammons, Gammon Steaks, Gammon Joints, English Bacon Backs, Smoked Backs, Pork Ribs and lots more. 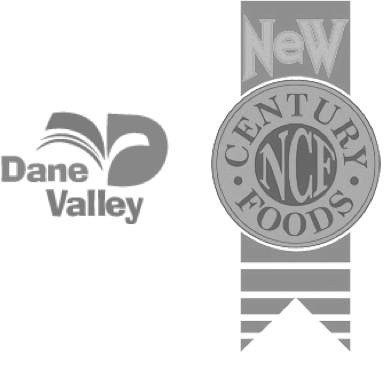 As well as our local producers we also stock well-known brands such as Danish, New Century Foods, Dane Valley and others. From our modern premises in Cross Hills, we carry ample fresh stocks for same day delivery. And because of our location we are perfectly placed to provide a complete local service for customers across the Pennines, in both Yorkshire and Lancashire. If you are looking a local supplier for bacon, gammon, pork and pre-packed meats, then look no further. Craven Bacon Supplies is here to help. Who buys from Craven Bacon Supplies? We supply many local butchers; along with caterers, cafes, pubs, restaurants, and hotels, throughout Yorkshire and Lancashire. As well as bacon, gammon and pork, you'll also find that we stock a range of farmhouse and catering sausages, together with black pudding, tinned meats and frozen burgers. As for cheeses; we stock popular favourites such as White and Red Cheddar, both mild and mature; as well as Lancashire, Wensleydale, Cheshire and Mozzarella. As well as blocks, some are available pre-grated. Craven Bacon Supplies are trusted by local butchers and retailers, not to mention many cafes, pubs, hotels and catering businesses who all appreciate the convenience of dealing with an independent local supplier. To find out more about our full product range; to enquire about prices, speak with Roger Baxandall or open an account, please get in touch. Where do CBS source their produce? We work with the best local suppliers and also partner with leading brand names.